Buy cheap, Buy Twice?…is this true? A lot of emphasis within modern day office’s are now placed on employee wellbeing and their overall experience within the work place. The idea being that if an employee is happy and motivate the business will prosper. But does this have to cost a fortune? Or does buying cheap mean you’ll be buying the same things over and over again to keep your employees happy? Knowing your brands, products and whether there is a “used” alternative are all key when making these decisions. 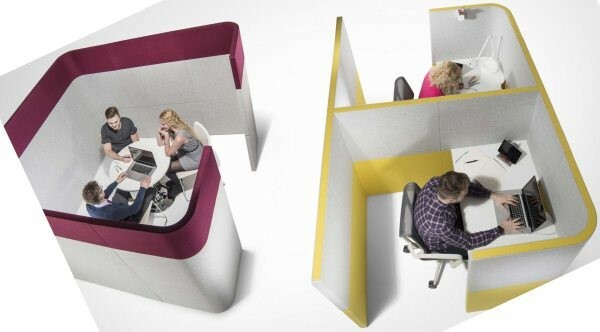 For this exercise I shall be using a very common piece of furniture in modern offices, the meeting Pod or Break out pod, and you can use the same exercise for all of your office furniture purchases. 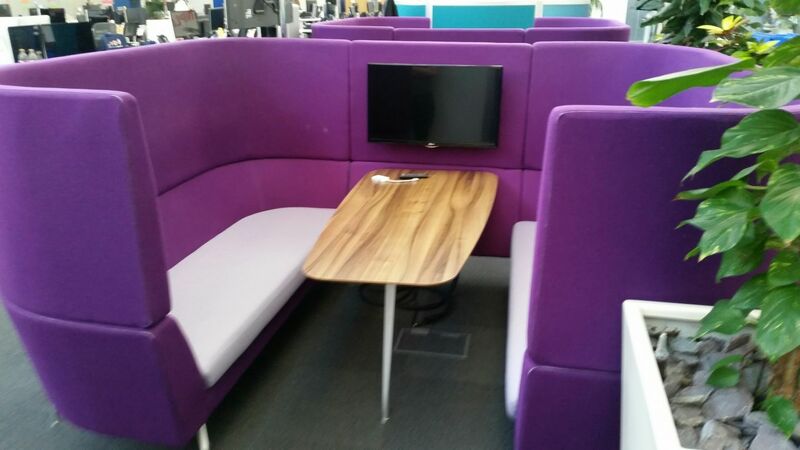 The obvious choice when looking at new office furniture is to go with the “big brands” or “trend setters”. In this case I would always look at a brand such as Orange Box and their “Cwtch” units. They’re really well made, great quality and have loads of optional extras & features. 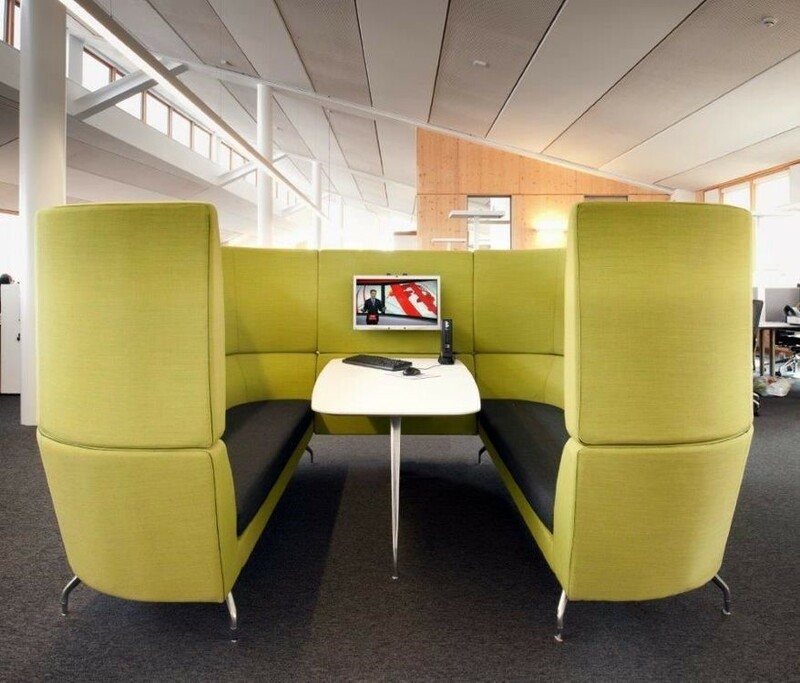 In my opinion they are one of the market leaders in this style of soft seating pod. However, and it’s a large however, just one pod could cost up to £10,000. Of course this comes with warranties and guarantees, but that is a lot of money for one item, especially for a SME. If money isn’t a worry though, this is the option for you. But if you want a big brand name and good quality at a low cost, then this may be the way forward for you. The market place is full of cheaper alternatives to the big name brands, and you won’t be surprised to hear that some are better than others. Like the big brands, you will most likely want to look out for names that you have heard of, in the case of meeting booths the likes of Gresham, Era and Mobili office are always a good option and you won’t go far wrong with what they have to offer. For example, below is Era’s Nautalis unit. It does the same job as the Orange box “Cwtch” unit and is a quality product, plus it is a much cheaper alternative. You can see it has less of the fancy stuff, but if you don’t want to spend thousands it has to be an option. However there does come a point when buying cheap will become more expensive. Unknown brands, extremely cheap new options or buying out of catalogues that look like comic books are huge warning signs. We as a company have had to source solutions for many firms who have gone down this route and overall it has cost them more money. So overall, no, buying cheap doesn’t mean buying twice. When you get good advice on where to go and what products to look at, you can get great choices new or used for a great price. However if you start looking at products you know nothing about and simply select an option on its price, then yes you may end up buying twice.